Every once in a while Josh and I look around for new recipes to add to our rotation. This winter I was home for a holiday and I was actually able to catch the Rachel Ray show. She was recapping the 10 best recipes of 2013 and several of them sounded delicious. I looked up the recipes and we made two of them the following week. 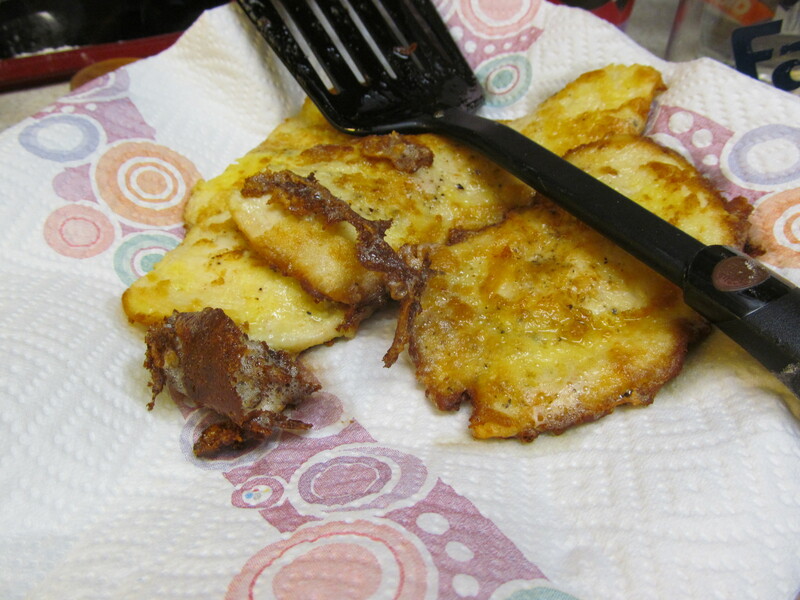 One of the things I love about Rachel Ray recipes is that they are fairly easy to make and are very delicious. This meal can definitely be made in 30-60 min! Combine the flour, garlic powder and paprika. 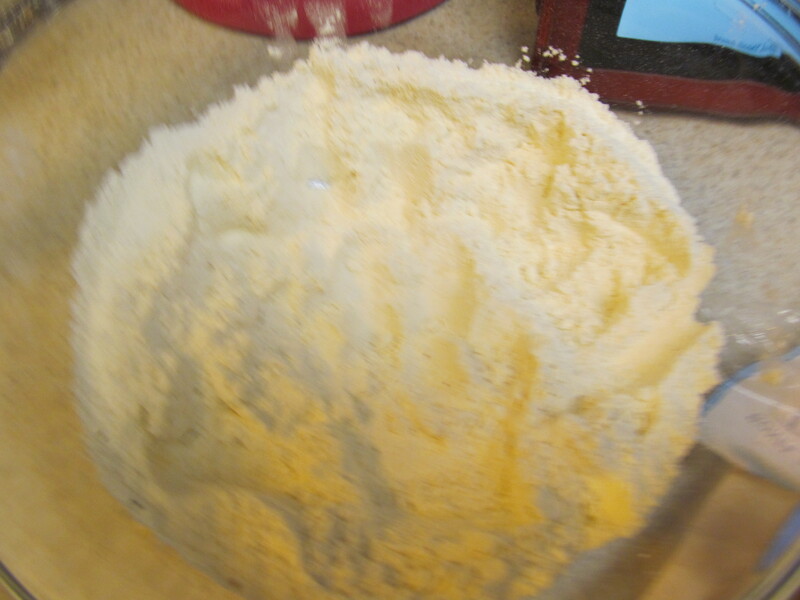 Roll the butter slices in the flour mixture. 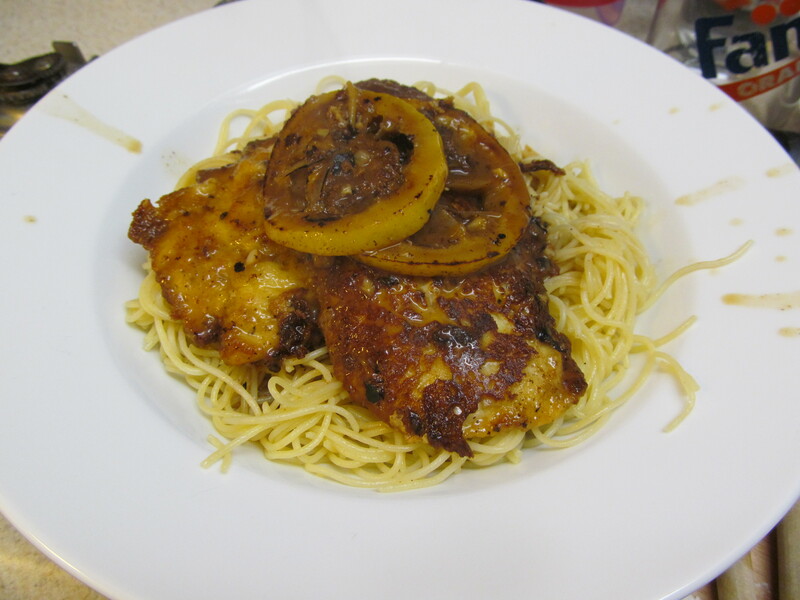 Josh and I have been getting good deals on thin sliced chicken breast cutlets which are perfect for this recipe. However, if the thinly sliced cutlets are too expensive or not available, you could certainly use cutlets that were pounded thin. Season the chicken with salt and pepper. 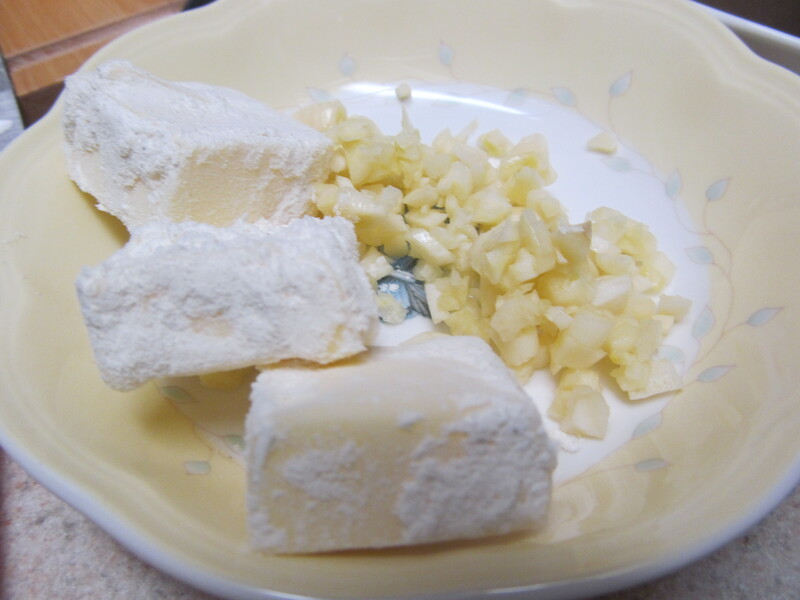 Gently beat the eggs, then mix in the lemon juice and cheese. Heat the oil in a pan over medium to medium-high heat. 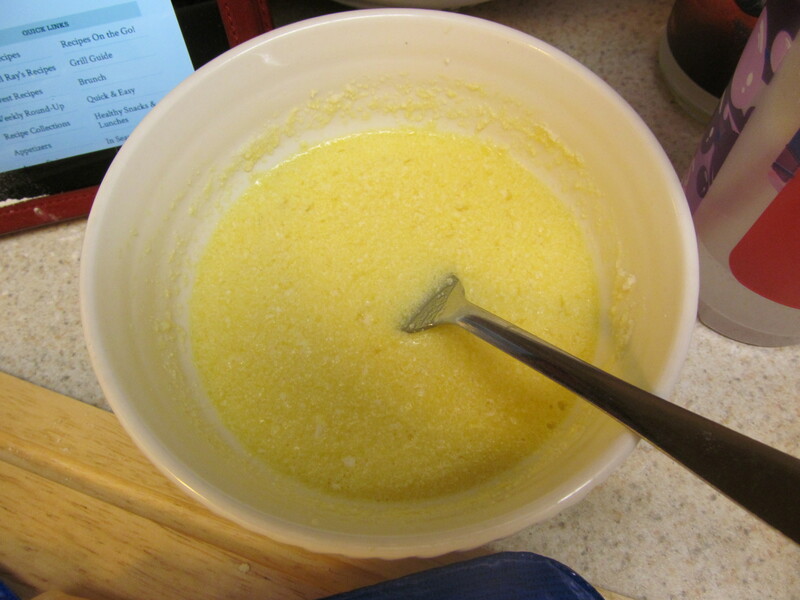 Dredge the chicken in the flour mixture and then in the egg mixture. Place the coated chicken into the pan. 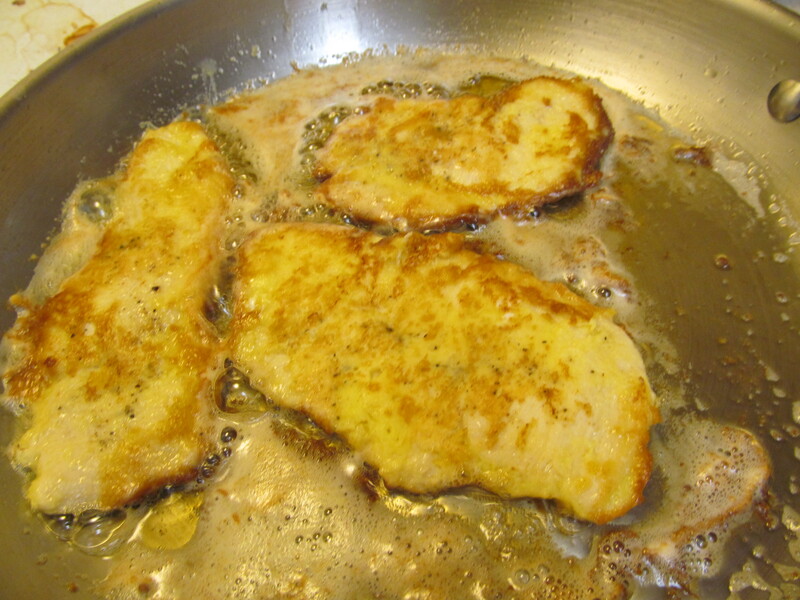 Cook 2-3 min each side, until a deep golden brown. After the chicken has been cooked on both sides, place on a paper towel covered plate. I usually cook half of the chicken at one time. 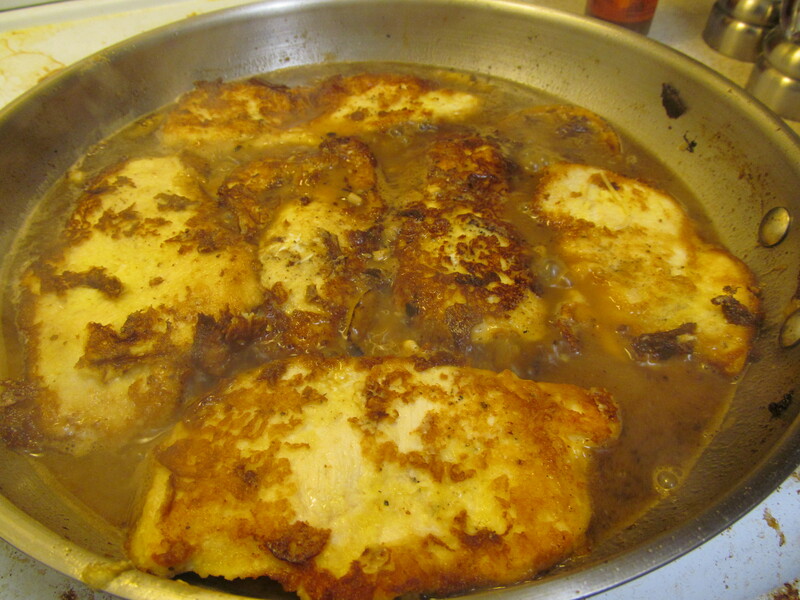 After the first half are finished, I will dredge and coat the rest of the chicken and cook them as directed above. 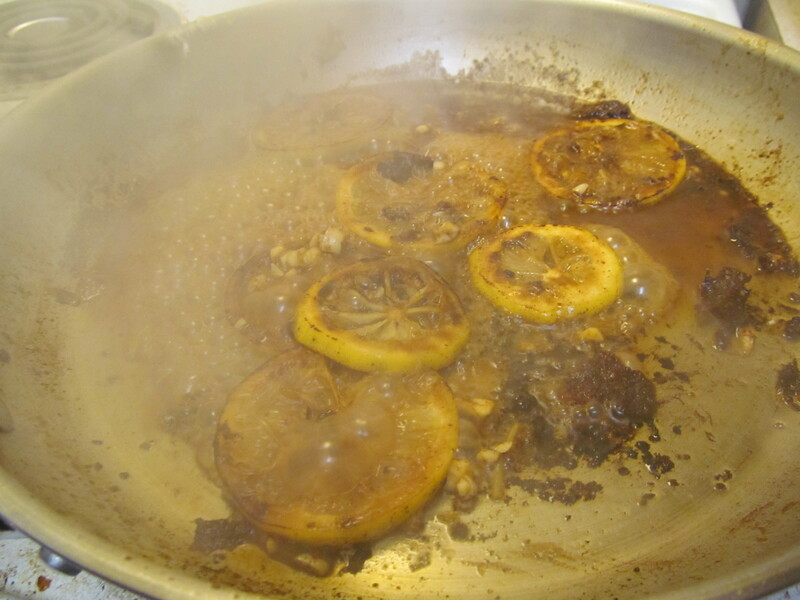 When all of the chicken is cooked place the lemon slices in the pan and caramelize. 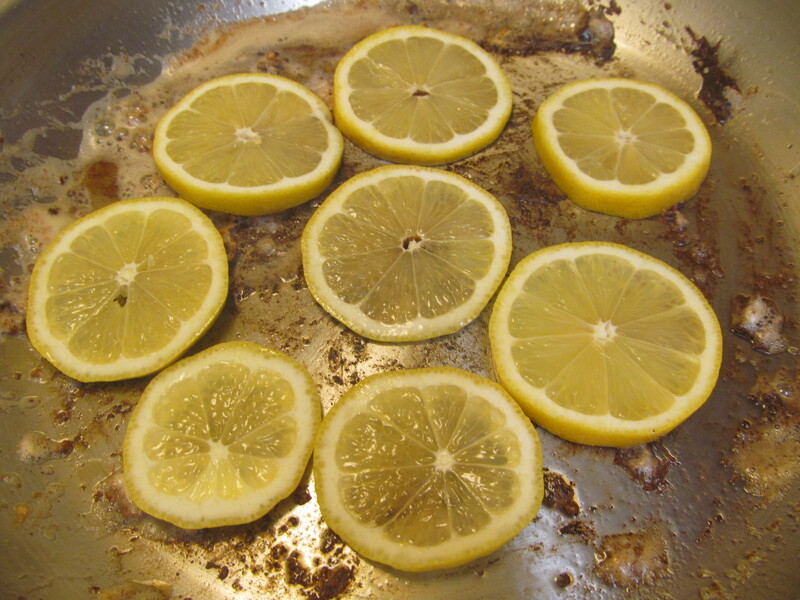 Flip the lemon slices and add the garlic. Cook for about 1 minute. 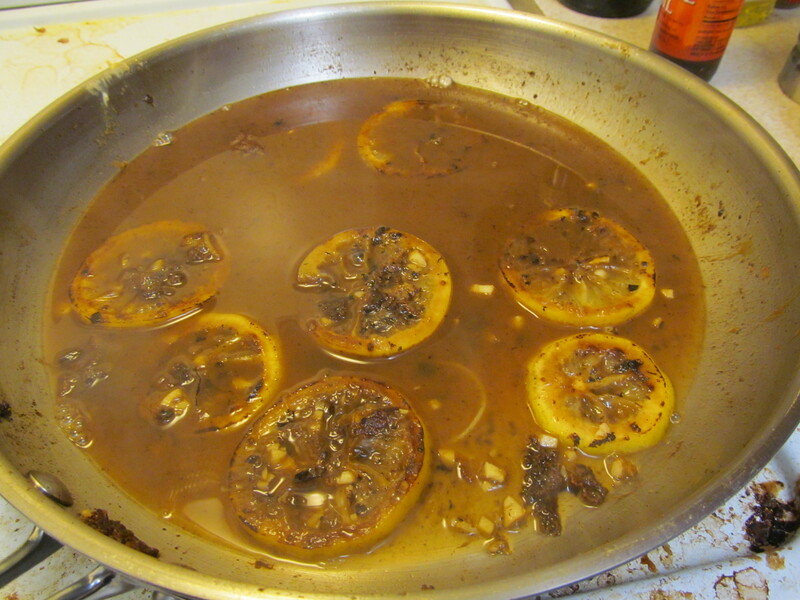 Pour the wine into the pan and stir to deglaze the pan. Add in the chicken stock and bring to a bubble. 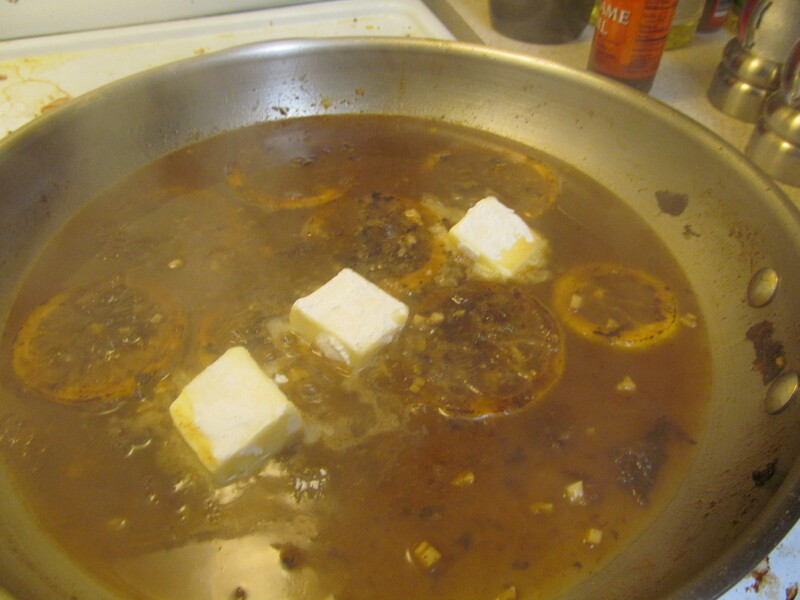 Swirl in the coated slices of butter to create a sauce. Slide the chicken back into the pan and cook for an additional 5 min. We served this on a bed of angel hair pasta. The sauce was amazing and this was a great way to enjoy it. Rachel Ray also suggests a slice of crusty bread to mop up the sauce. I forgot to add it this time, but you could also top the chicken with some chopped parsley as a garnish.